Without a doubt, the funniest and freshest couple of minutes you’re ever going to find. Unleashed makes Mondays worth it. 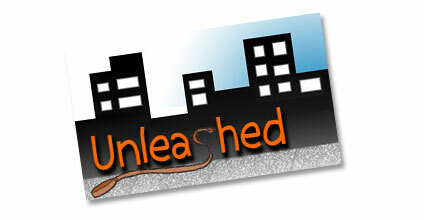 Unleashed is an animated comedy show that follows the trials and tribulations of animal actors in Hollywood. A new episode every Monday! If there was ever an example of how main-stream-media is missing the boat, this is it. Catch the episodes on the Unleashed website, or on Blip.TV or subscribe to their feeds. Wow…what a tremendously flattering review! Thank you so much, Robert…we’re thrilled that you enjoy the show. I’d have to stop laughing long enough to be coherent. Man I love unleashed. I seem to have zero pull, which shows you what 22 years working for the CBC gets you – but let me spread the word and see what happens. Congrats on an awesome show – I also posted on LivingWithAnActor.com which seems fitting.